Healthy vegan chickpea stew is very nutritious and easy to make.Chickpeas are among the most nutrient packed legumes grown around the world. They are high in fiber, minerals, and vitamins and are a good source of proteins. Hence they can substitute meat in vegan diets. 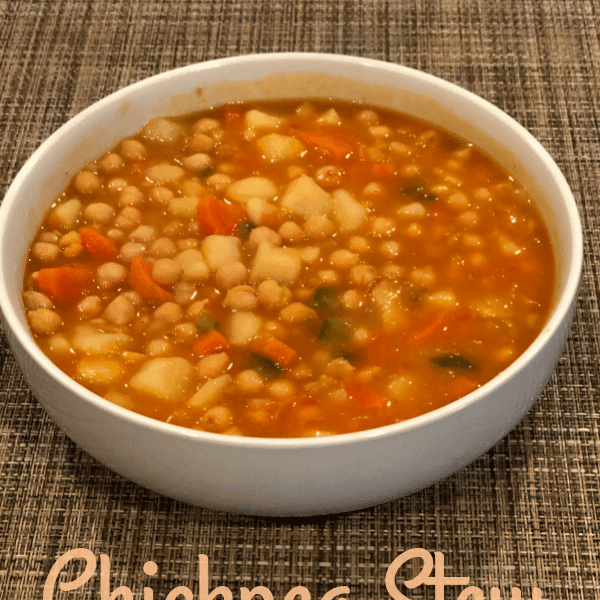 This healthy vegan chickpea stew is good even for weight watchers and people struggling to lose weight.It is full of fiber and can keep you full for longer.You do not have to eat much after eating them. Health benefits of chick peas. lowering the cholesterol in the body due to their high fiber and low calorie content. Preventing constipation due to their high fiber content. Aiding in weight loss because of their satiating ability. 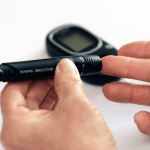 Helps control blood sugar and therefore are good for people with diabetes. Chickpea stew is healthy, delicious and easy to make. You only need a few simple ingredients and at least spare a few minutes to prepare. 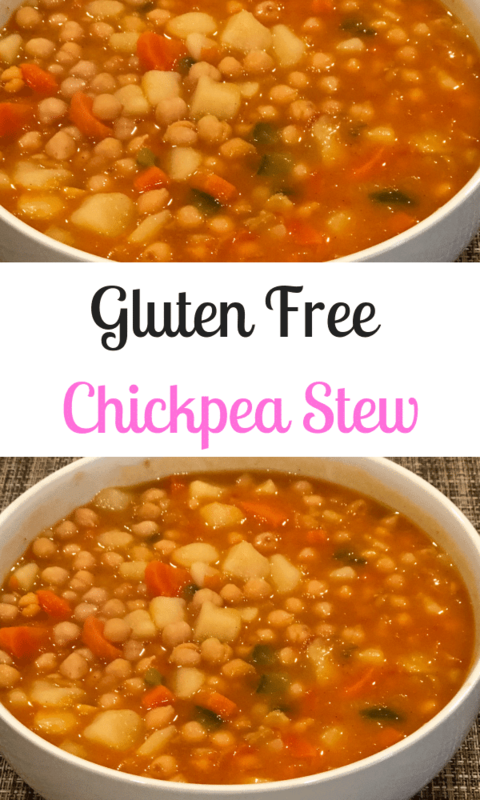 Enjoy the amazing benefits of chickpeas by making this delicious stew. Personally I did not like chickpeas,they were not part of my diet.I started cooking them a few months ago after eating them at my friend’s house ,they were so delicious. It was then that I realized that I was missing all the nutritional benefits in them.Now,chickpeas are part of my diet , I cook them almost every weekend.I add them to my salads,in addition to that I also use the chickpea flour in some of my baked and fried foods. You can make a variety of delicious dishes from chick pea.I normally cook a lot over the weekends and freeze for later use.This helps save time on meal planning especially during the jam packed week days.I do not have to go shopping or cook every meal from scratch on a nightly basis.You can cook and freeze them too for you week day dishes. This vegan chickpea stew is gluten free,it is heart friendly and it is simple to make.It is satisfying and gut friendly,it wont make you constipated. Chickpea stew is healthy, delicious and easy to make. 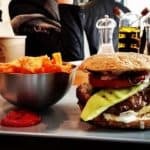 You need a few simple ingredients and at least spare a few minutes to prepare. Why not make and enjoy this amazing chickpea stew that is healthy for you. In case you like cooking chickpea from scratch like me, remember that the dry ones can take a longer to cook. For this reason, sort, clean and soak them overnight then boil them the next day. Soaking helps to soften them and reduce the cooking time. In a large cooking pot, add coconut oil and add onions. Cook on medium heat until the onion starts to turn golden brown. Add the carrots and let sauté for few minutes then add the pureed tomatoes and chopped green bell paper .Let these cook for about 2 minutes while stirring. Now add the chickpeas and the potatoes, stir until they are well combined. Pour the 1 ½ cup of water .Allow the water to come to a boil. Cover with a lid and let it simmer on low heat for another 15 minutes. Stir occasionally to prevent the chickpeas and the potatoes from sticking at the bottom of the pot. Take the lid off and add the spices (ginger, garlic paste,cardamon powder and curry powder) and salt, then stir to mix. Allow this to simmer uncovered for 2 minutes. Turn the heat off and serve warm with rice or crackers.